Welcome to these Quotes about Friendship. 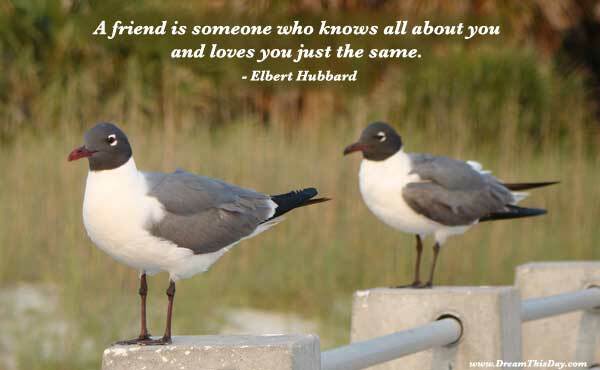 Let these friendship quotes and sayings help you to more deeply appreciate the value of your close personal relationships and to become even closer to each of your true friends. 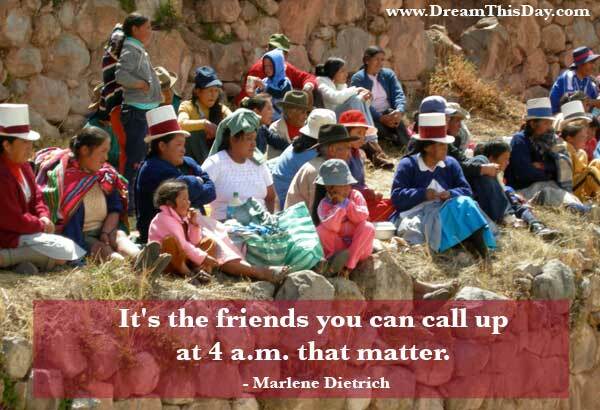 True friendships are characterized more by a deep trust than by any other single characteristic. People often say that the measure of a friendship is how comfortable they feel with the other person. While that observation is very true, the level of comfort one feels is generally a measure of the degree of trust inherent in the relationship. One can be comfortable in the presence of another only when there is a high level of mutual trust. There is a degree of truth in that saying in the sense that people (or groups, or countries) that have common enemies tend to bond together for emotional as well as physical support and defense. However, the nature of such a relationship is quite different from that of a true friendship - largely because the element of trust is usually absent. A personal friendship that is based largely on having mutual enemies, or a mutual dislike or mutual fear, and in which a deep mutual trust is not present, is unlikely to be a true, satisfying, and lasting relationship. and accepts you just the way your are. for my shadow in the pool can do better than that. We learn the rules of life and become better players of the game.